Thousands of women will seek and receive help this year; you can be one of them. There is no need for you to continue grieving silently. Reach out to someone who understands. You are not alone. Here are some specific resources to address your emotional and physical needs. A resource of the National Office of Post-Abortion Reconciliation & Healing, Inc.
It’s normal to grieve a pregnancy loss, including the loss of a child by abortion. It can form a hole in one’s heart, a hole so deep that sometimes it seems nothing can fill the emptiness. But there is hope. Es normal llorar la pérdida de un embarazo, como también la pérdida de un hijo por un aborto. Puede crear un hueco en el corazón, un hueco tan profundo que a veces parece que nada puede llenar ese vacío. Project Rachel is a ministry of the Catholic Church to care for those who have been involved in abortion. The ministry provides referrals for sacramental reconciliation, and an integrated network of services including pastoral counseling, support groups, retreats, and referrals to licensed mental health professionals. In addition to the HopeAfterAbortion.com website, Project Rachel has 6 locations in Florida. Option Line provides free, confidential support through a toll-free phone number, email or live chat and will answer questions regarding abortion, pregnancy, STIs, adoption, parenting, medical referrals, and more. They also provide information for friends, boyfriends, and families of the female dealing with an unexpected pregnancy. If you or someone you know is facing an unexpected pregnancy, or dealing with regret over a past abortion, you are not alone. Call 800-A-FAMILY (800-232-6459) to chat with one of Focus on the Family’s Family Help Specialists and request a referral to speak to a licensed Focus counselor. The Family Help Center also provides online booklets in English and Spanish that provide helpful information on these topics. Post-Abortion Syndrome is a form of post-traumatic stress disorder. The process of making an abortion choice, experiencing the procedure and living with the grief, pain and regret is certainly, at its very core, traumatic. As with any trauma, individuals often try to “forget” the ordeal and deny or ignore any pain that may result. Many simply don’t relate their distress to the abortion experience. At some point, however, memories resurface and the truth of this loss can no longer be denied. During these moments, the pain of post-abortion syndrome reveals itself in the hearts of millions of lives. This webpage shares common symptoms you or other women may feel after an abortion. RamaInterantional.org also provides a list of pregnancy centers in Florida that are equipped to answer your questions and provide counseling after an abortion. Click here for locations. Q: What are some of the symptoms associated with Post-Abortion Impact? Q: Is it normal for me to be dealing with troubling emotions as the result of a past abortion? It all happened a long time ago, but I’m still having difficulty coping with my feelings. Do you have any advice for me? According to FatherhoodForever.org, 55 million men since 1973 have been involved in some way in an abortion decision and procedure. 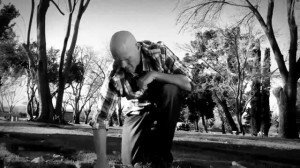 Pastor Shane Idleman regrets an abortion in his past. He says, “The emotional scars of an abortion can last a lifetime. And it’s not just women who feel the pain, the men often carry tremendous guilt as well.” Click on the image to watch Shane share a part of his personal journey toward forgiveness. Men Hurt Too: Free Counseling for Men from Life Issues Institute, Inc. If you would like to speak with someone who won’t judge you, in a safe, confidential environment, Life Issues Institute, Inc., will respond with the name of someone who can help — someone who deeply cares about what you’re going through. The counseling is free! Rachel’s Vineyard welcome’s men who have been involved in any way with abortion. The organization provides information to help you to begin to make sense of your experience and assist you in your journey to healing. Rachel’s Vineyard also provides retreats for both men and women suffering after an abortion, and encourages married couples to attend as well. Upcoming retreats in your area can be found here. It’s good that women are finally beginning to share the pain of their past abortions. But the fathers of those lost children need to be heard — and helped — as well…If you or a man you know is suffering from the loss of a child through abortion, help and healing is available. With an estimate of over 56 million abortions in our country since the infamous Roe vs. Wade decision of 1973, there’s little doubt that countless marriages are suffering from one or both spouses’ involvement in an abortion…Through the help of a post-abortion healing ministry, couples can successfully work through abortion-related challenges, and God’s grace can bring true healing in their relationships. Con un estimado de más de 56 millones de abortos en nuestro país desde la infame sentencia Roe vs. Wade del año 1973, no cabe duda de que incontables matrimonios sufren por la participación de uno o de los dos esposos en un aborto…Por medio de la ayuda de un ministerio de sanación posaborto, las parejas pueden superar sus desafíos relacionados con el aborto, y la gracia de Dios puede darles una verdadera sanación en sus relaciones. Almost everyone knows someone who’s had an abortion. Many people know someone personally who is suffering because of an abortion. If a friend confided in you tomorrow that she had an abortion, would you be able to respond in a way that brings her closer to healing? Casi todos conocen a alguien que se ha hecho un aborto. Muchas personas conocen a alguien personalmente que sufre a causa de un aborto. Si una amiga mañana te confía que tuvo un aborto, ¿podrías responder de manera tal que la acerque a la sanación? Q: Why is my friend unwilling to talk about her abortion? It’s obvious that she’s in bad shape emotionally, and I’d like to reach out and help her if I could. Unfortunately, every time I try to broach the subject she immediately clams up and won’t say a word about it. Do you have any insights into what she might be thinking? No matter what drives a woman to end a pregnancy, there are physical, psychological, and spiritual side effects most don’t anticipate. But there is hope. Author Linda Cochrane has been there. With understanding and gentleness, she guides hurting women to bring their emotional scars into God’s holy light where healing can take place. This 8-session Bible study can be done individually or as a guided group study. A group discussion guide follows each chapter. Too often, the focus on the tragedy of abortion ignores another victim: the father. In this insightful Bible study the focal point shifts to the post-abortion father, who may feel the same guilt, shame and grief as the mother. Designed for use in a personal or group setting, Healing a Father’s Heart provides comfort and encouragement along the way to freedom from the emotions that impact their relationships with others – and with God. Includes list of post-abortion ministries. Women with post-abortion trauma may already be in your church, or they could be seeking help in your community, and maybe yours is the church to which they turn. If God is leading you toward reaching out to these women in particular, here are some tips to guide you in this ministry. In many ways men and women respond very differently to the loss of a child from abortion. To empathize with a man’s reaction to this profound loss, it is important to first understand what motivates the human male species. Men are often not acknowledged as having experienced a loss after abortion. This may leave them confused about their emotional reactions to abortion and make them disinclined to seek the help they need to resolve their grief. However, without appropriate help, these men are likely to repress or deny their feelings and suffer in silence. As an increasing number of men are accompanying their female partners to crisis pregnancy centers, it has become apparent that centers need to minister to men as well as to women. While this need presents many challenges, it also offers tremendous opportunities for both individual and organizational growth. After the director of a Planned Parenthood clinic in Texas participated in her first abortion procedure, she quit her job and walked across the road to join the Coalition for Life. In this heart-stopping personal drama, you’ll discover how Abby Johnson’s spiritual transformation instills hope and compassion into the political controversy surrounding this issue. Focus on the Family Recommended. A deeply moving story of forgiveness for a woman who struggles to reconcile herself with the memory of a child she aborted nine years previously. Sarah’s Choice is a thought-provoking film that deals with the complexities of abortion from a faith perspective. After finding out about her pregnancy Sarah Collins must make a final decision. She is presented with three visions causing her to think about the impact on her future.